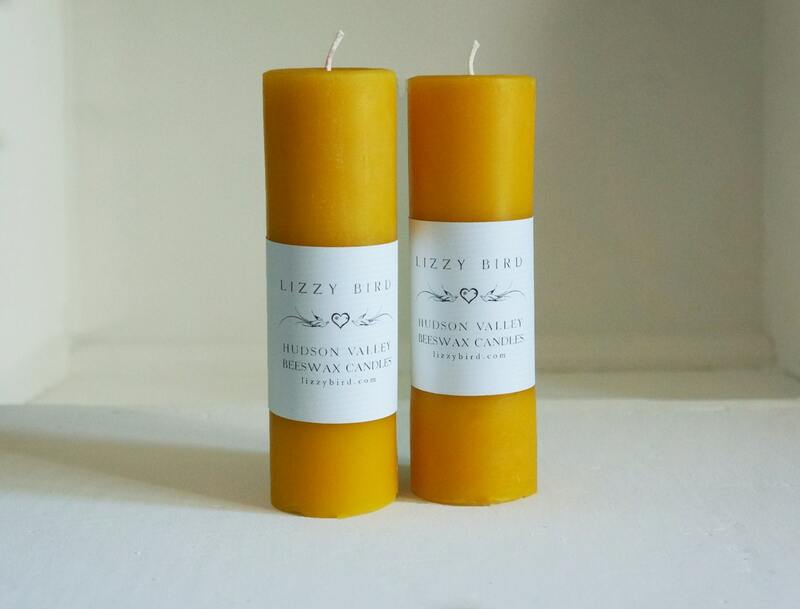 Classic pillar candles in 100% pure, organic beeswax from American Northeast apiaries. Handmade, one at a time, by me in my Hudson Valley NY studio. 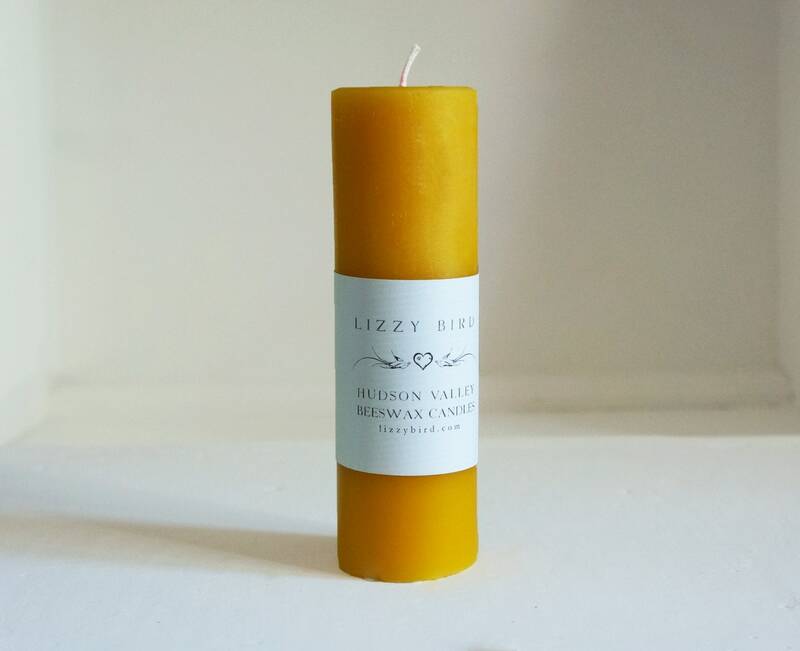 Beautiful beeswax candles have a gentle, natural honey scent, burn longer and brighter than other types of wax candles, and are dripless if burned undisturbed and away from drafts. Each 6" x 2" pillar is approximately 9oz and burns for 35+ hours! This listing is for two pillars. One pillar is 6x2", the other is 3x2". Pillar shown in Rust. 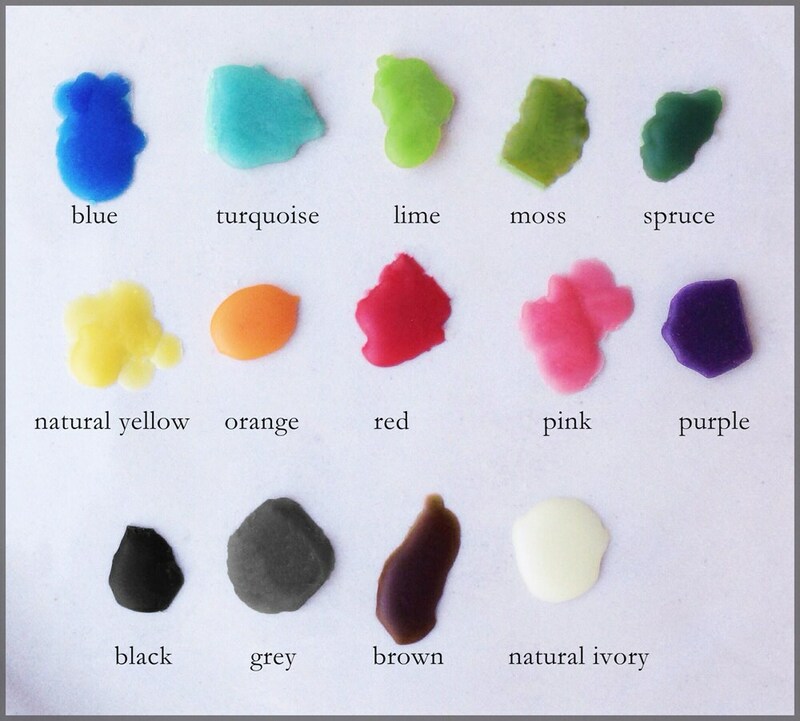 Please be sure to select a color for each candle (use Secondary Color Option menu). See other photos for more colors. Be sure to select color at checkout. 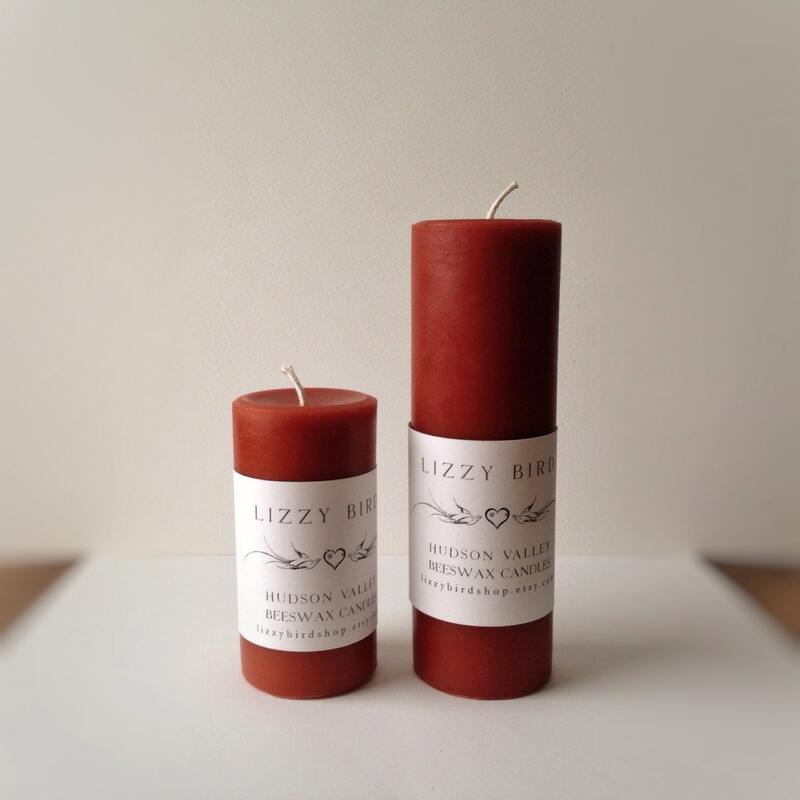 These candles are stunning. They are beautifully crafted. I am thrilled and will use this crafter for my candles from now on.